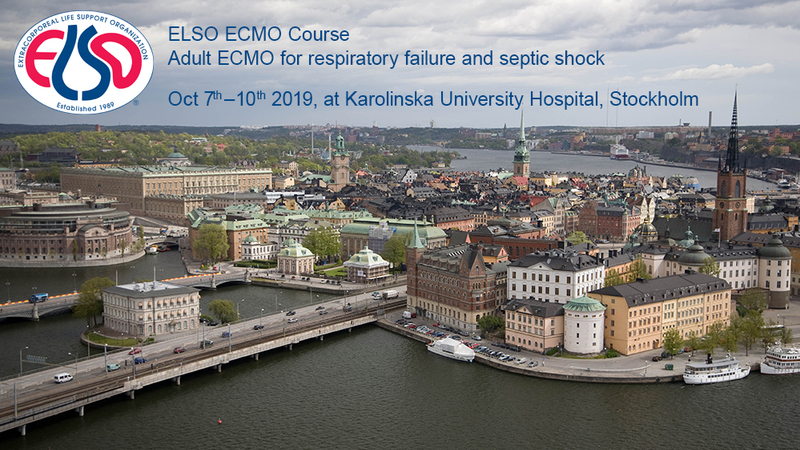 After having completed the course, the participants should have increased both their theoretical knowledge and their practical skills in managing adult patients on ECMO for respiratory failure and septic shock. Team training is essential in the simulation session. The participants will be trained in team communication. They will realize that in an ECMO circuit emergency situation, some members must focus on resuscitation of the patient and some on managing the problem with the ECMO circuit. Scenarios involving ECMO circuit failure will be simulated and the learners will be trained in problem identification as well as patient management and problem solution. Simulation is conducted in groups of 6 participants with two or three instructors. During the wet lab session each participant should gain practical knowledge of assembling the ECMO circuit, priming the circuit, changing oxygenator and changing pump head. 6 participants are trained by two instructors. The objective of the lectures is to provide knowledge to the learners regarding the subject of the respective lecture. There are 12 learners during each lecture. The learners are instructed to interrupt the lecturer and ask questions when needed. Short discussions during the lectures are encouraged. The “Patient cases” part involves presentation of patient cases. The cases are presented by two instructors part by part and the learners are encouraged to discuss different possibilities to manage the respective problems or complications. This part of the course is very interactive and the objective is to stimulate the learners to use the knowledge they have gained during the course in a clinical situation.